Every season we offer a special program called a Jump Start. 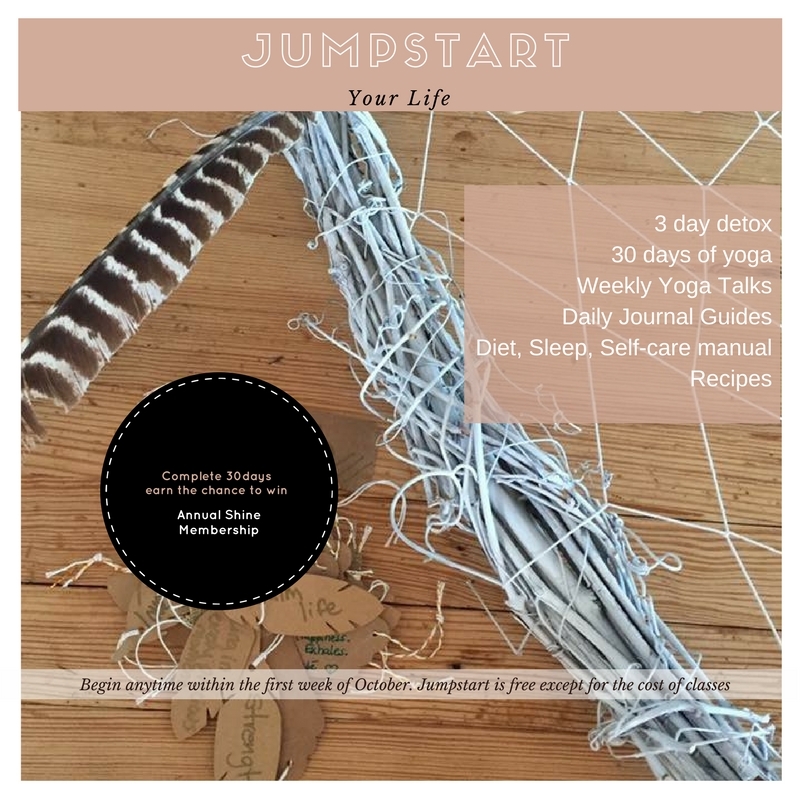 The seasonal jumpstart includes a gentle "detox," seasonal recipes and shopping lists, sleep hygiene and prizes for daily yoga practices. We also offer a weekly yoga talk that is free and open to the public. The talks are one hour and have included spring cleaning with essential oils, seasonal ayurvedic practices, self care rituals, laughter yoga, bullet journaling, and yoga and stress. The next jump start will begin in October 2017. Our occasional book club meets weekly to discuss the chapter they read that week and have a special facebook page to discuss and ask questions in-between meeting times. The reading of the Yamas and Niyamas by Deborah Adele is on pause for the summer. We will resume to discuss the last three chapters in the fall.